There are nothing wrong with life saving tatic. The issue is that people have multiple alternatives and sub league. Fix the real problem pls instead of ruin the game experience. Also how about fixing the shield cooldown issue. I’ve been playing this game for about 3 yrs now and people have begun to make 5-10 Alternate accounts in order to rack up their tactical cards and rss. It’s basically cheating when you’re unable to destroy one army because they have 100 heals available. If we could make tactics only work for your league mates I believe it will greatly improve and equal out this game. Make the tactics only work for your league mates and this will definitely make those with 5-10 Alts every field be on a more even playing field. Pretty much what Clinton said. Make it only for league mates and not allies. The 4-5 alts some ppl have is what’s causing the problem not the life saving tactic itself. If that's not an option, I'd leave it alone. If it has to be changed, Leave the heal at 30% and make it leagues mates only. Я думаю не стоит ничего менять в игре. Если вы отмените помощь союзным лигам, то малые лиги обречены на поражение и надобность создания союзов становится бессмысленной. Да и отдельные игроки попав на карту с превосходящими по составу лигами также обречены на беспомощность. Тем более жалобы от топ игроков я не видел ни одной. Ну ,а если кто то считает что восстановление 30% урона это много против 150% атаки . То это полный бред. Лучше обратите внимание на техничесую поддержку в игре. Я больше устал от различных лагов,это больше всего угнетает. I really like the possibility of minimizing allies. Keep the game a war game instead of a competition to see who can ally the map first. I think that having a maximum number of allied players is far more logical opposed to a maximum number of leagues you can ally too. Keep life savings for teammates only and minimize allies per field. Once again instead of taking the time to properly analyze what it is people are complaining about, to really understand the issues behind what is being vocalized we have already decided on a probable course of action that will do NOTHING to solve the real issue. I think its important that we take them time to really break it down to understand the problem and find a proper solution. Analysis: Why are people saying Self healing is OP? Because between nearly equal forces facing off on the battlefield and equal knowledge of the game mechanics by the players, combat victory or defeat is determined by which side has more heals. This is the tactic also known as heal spam. This is one of the main reasons why there are SOOOOOOOOOO many alts leagues and alt accounts in the community, to ensure a virtually unlimited supply of heals to the Main leagues and players. Proposed solutions: There are basically two proposed solutions to discuss as the 3rd is the combination of two and none of them are adequate. 1. Nurf the heal tactic from 30% hp restoration to x<30%: This solution does NOTHING to resolve the main problem of heal spam no matter to what x% you lower the hp restoration. People will simply create more alt accounts to compensate. 2. Restrict the pool from which the heal spammers can draw heals from: This solution on paper seems better than the first one but its just as ineffective at dealing with the real issue. People will simply ensure that 75%-80% of the accounts in a BF have the heal tactic. As I said earlier all that does is restrict how many heals each league has to draw on it does NOTHING to stop the heal spam. It does NOTHING to address alt accounts as people will simply bring them into the same league as their main account instead of leaving them in the alt league. More importantly battles will still be decided by how many heals you have on hand mainly how many active members and active alt accounts you have on hand, during the time of the battle, compared to the guy you are fighting. There is no strategy involved in this lest we forget this is a strategy simulation. What can be a REAL solution to alleviate the heal spam tactic keep in mind I am not a programmer I don't know how hard or easy this is to implement that is why I offer three possibilities. I guarantee any one of them or more combined together will solve the heal spam phenomenon once and for all. 3. Instead of 30% hp restoration for all units in a 200 range radius, make it the 30% hp restoration total spread out according to how may units are in the 200 range radius; meaning 10 units getting healed only get 3% hp restoration. Voila no more heal spam, goodness gracious maybe people will actually have to use some gray matter instead of trying to SPAM things like tactics and units. Oh and just to be clear because I believe I may have been misleading I think self healing tactic works fine the way it is, I do not think anything more is required as heal spam tactic does not work against people that understand the game mechanics and fully take advantage of combined arms. What I proposed above is an alternative that could actually fix the complaint. Personally I do not believe the complaint needs to be addressed, just learn the game mechanics and fully take advantage of combined arms. You're all wrong! Any decision that is made will not change the situation. You forgot about the main reason and the problem in the game - these are alternative accounts. The only way to resolve the issue is to link accounts to phone numbers. But this does not solve the problem! The main problem is that the developers have ceased to develop a game! Developers should monitor, identify and ban alternative accounts. For the entire game, no account has been blocked, in online games this can not be! What the Chinese did on the cup, too, is not punished! And all the mistakes in the game are connected with the cup. Cup passed, errors will soon disappear. Developers have long made a decision for you, and the survey was created to show visibility. They need money, the game does not develop, the players leave, the game dies on the sly. The game is hacked by the Chinese, or the developers help them with stones 100% and this fact is proved. I encourage developers to start struggling with alternative accounts. and do not reinvent the wheel, which is already there and working properly. If you do not improve the game and advertise it, then it will die. The fact that the players are leaving the game everyone knows and the fault in this is the developer's indifference. I'm against this poll, because the developers are ruining the game. Life saving is powerful but a great tactic. Keep it and if need3d adjust cool down. Fix it the real issue and limit using gems Over and Over. 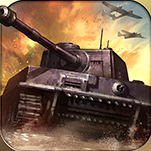 This game is about tactics, teamwork, strategy and developing your units. Using gems as a tactic is hurting the game. Ограничьте число союзников на карте. Тогда варианты с альт лигами и аккаунтами при их наличии не будут давать ни кому преимущества при равенстве использования тактик. Решение на поверхности. Все остальное зависит от самих игроков. Наличие технологий, прокачка техники , выбор тактики и дипломатия. Nice! We'll think about it. After finishing our current map it’s blindingly obvious that heal is not the issue. We had a team of 20 with a couple of alts just for capturing and demoing LC’s and one allied league of 9 in global. We played against other high level leagues of 20 players and was refreshing to see a map not full of alt accounts and sister leagues with 10+ players. I didn’t see any league in map spamming every tactic available and multiple heals and we had some very fair match ups in map. I think the only problem with the heal tactic is a league having an excess amount available to had with 2nd and 3rd accounts. So if every member in a league has at least 1 alt in a team of 20 we can see where the problem is. I do use an alt account but I use them independently as I use 1 tanker and one all air in different leagues and maps 9/10 times. 2. Just remove all allied tactics and have your own league only. Finally I can see the benefits in having an alt account for what I covered above but these options would reduce the map being filled with peoples accounts that are used just for one thing. What I can see is we are all seeking 1 thing, making the game fair for every player in the game new or old. So we don’t feel cheated after battling with certain leagues in map. I do think that in some leagues it’s got to the point where they see leagues using 10 alt accounts, so we will make 20. When does it ever end? Also on another note, I still feel the cup format is broken as leagues still have multiple teams in the same map. There’s lots of ways to combat this but that opens another debate completely. I see only one thing in this thread. Players and developers do not want to give up alternative accounts. You understand that this is a violation of a rule of the game? Do you understand that the whole problem is in the accounts? I proposed the idea of accounts tied to phones and tracking alternative Community accounts and block them! The real reason is IGNORING! If we do not struggle with alternate account GAME DIE! Developers do not want to struggles with alternative accounts, and the players do not want to admit the massive use of accounts! It is a farce! I hate all of you, you'll kill my favorite game! Think your still missing the point here. I have 3 devices I can play this game on, so multiple accounts would just lead to linking multiple devices. So not as simple as you think. I stated that I use mine independently mostly in different maps and leagues. I wouldn’t know what I know now if I didn’t as I play with different people and play styles. Now it’s just a case of how far do you want to take the current issue which is ruining the game we all do love. As I said before I think we are all wanting to make each map we play FAIR regardless of tech or officers used. Vedo solo una cosa in questa discussione. Giocatori e sviluppatori non vogliono rinunciare ad account alternativi. Capisci che questa è una violazione di una regola del gioco? Capisci che l'intero problema è nei conti? Ho proposto l'idea di account legati ai telefoni e di tracciare account Community alternativi e bloccarli! La vera ragione è IGNORING! Se non abbiamo problemi con GAME DIE account alternativo! Gli sviluppatori non vogliono lottare con account alternativi, e i giocatori non vogliono ammettere l'uso massiccio degli account! È una farsa! Odio tutti voi, uccidete il mio gioco preferito!